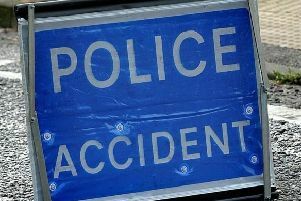 Police have confirmed a 91-year-old woman from Petworth died at the scene of yesterday’s A285 three vehicle crash. The incident happened at 2.49pm (August 11) at Upwaltham, between Petworth and Chichester. A spokesman said: “Involved were a black Mini, driven by a 20-year-old woman from Swindon; a white Ford Transit van, driven by a 47-year-old man from Bognor Regis, and a grey Audi Q3 driven by 36-year-old man, also from Bognor Regis. Police closed the A285 for four hours while the circumstances were investigated and to allow a Kent, Surrey and Sussex air ambulance to land. Police are now appealing for anyone who may have seen the crash or any of the vehicles being driven beforehand to email collision.appeal@sussex.pnn.police.uk or phone 101, quoting Operation Ellis.